Chicago has a rich tradition in the movies. From Ferris Bueller’s Day Off to The Dark Knight to The Blues Brothers, Chicago is known as the location for many major motion pictures. As a way to honor this tradition, the classic films either based or filmed in Chicago are illustrated on this map. 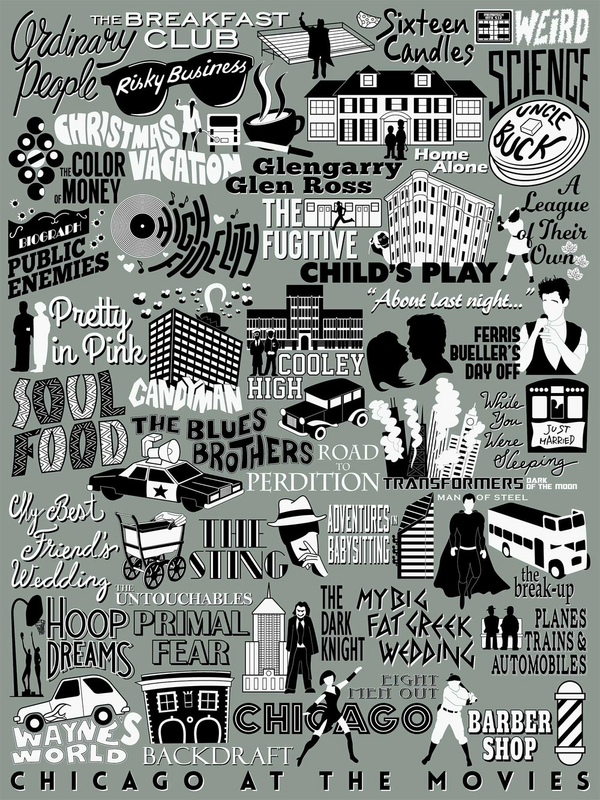 Each movie included is organized on this illustration by their filming location.